Today it is increasingly recognized that most individuals are subject to at least one of a grouped set of nutritional deficiencies surrounding both magnesium and the fat soluble vitamins. Perhaps the most important of these is the newly discovered widespread deficiency of both magnesium and vitamin K2. The entire grouped family of fat soluble nutrients were termed “Fat Soluble Activators” by Weston A. Price in the late 1930’s and early 40’s. He postulated an unknown compound, he named “activator X”, within this group that was responsible for the primary health effects he observed. It was not until 2004 that the connection was made that “activator X” was vitamin K2-MK4. Nearly 70 years before, Dr. Price brilliantly and conclusively outlined the mechanism of biological creation and sources of activator X, as well as the combined impact of the entire fat soluble group of nutrients on both human health and genetics in his book, “Nutrition and Physical Degeneration”. In today’s society, there are a variety of reasons most people are deficient in one or more of these critical nutrients. For instance, magnesium is not replaced into the soil as part of industrial farming practices. Humans, animals, fruits and vegetables are all magnesium deficient today relative to base levels 100 years ago. Likewise the mistaken “Low Fat” phenomenon over the last 50 years, coupled with the use of high density feed lot based urban meat and dairy production, has deprived the entire food supply of newly discovered to be critical vitamin K2-MK4. As it turns out, K2-MK4, in concert with magnesium and the other fat soluble vitamins, is vitally important for activating a wide range of mission critical enzymes in the human body called “Vitamin K Dependent Proteins”, or VKDP for short. Figure 1 shows a VKDP, Factor VIIa, used in blood clotting. Figure 1 – Activated Factor VIIa, a VKDP used in blood clotting. Until the vitamin molecule can activate this large enzyme, it will not work. However, it is the enzyme that does the clotting job, not vitamin K.
The multi-nutrient RegenesisTM formulas from Genesis Biohealth are designed to allow users to quickly and effectively close these critical nutrient gaps and accelerate the body’s healing processes. Our products work by helping the body to completely activate and express the built in VKDP biochemistries coded in the DNA. This allows the human body to more effectively generate its full spectrum of restorative and repair enzymes to support your health as it is meant to be. We will explain below how using our products can help improve your health. Here and in our Blog, we invite you to follow along as we work to outline the biochemistry of the “fat soluble activators” as well as the practical aspects of using Regenesis+TM. Because the typical diet for modern society does not contain enough of these “fat soluble activators” and magnesium, we fall victim to a range of age related disorders that did not exist for many societies in earlier times. Many, or even most, of these disorders are linked by vitamin K2 biochemistry. Ultimately a deficit of necessary fat soluble activators leads to the inability of the body to produce enough VKDP to keep pace with the rate of age or stress related damage. “Diseases” or “Disorders” such as found on the list below, can all be shown to be linked to vitamin K2-MK4 and magnesium status and thereby to a deficiency of K2 activated enzymes, or VKDP. Several common maladies shown to be linked to vitamin K2 status are shown below. It is true that average life expectancy for many in our society has dramatically increased over the last 100 years. This is primarily due to technological impacts on things such as: prevalence of low risk work, antibiotics, surgical techniques, epidemiology, and sanitation/sterilization protocols. In spite of our increasing life expectancy, our society is facing unprecedented rates of age related health decline. Additionally we experience increasing prevalence of obesity, cancers and all sorts of pediatric disorders in a range of categories such as asthma, ADHD and autism. We now take it for granted that most of us will eventually succumb to one of many age related maladies now considered “normal”. These maladies are not “normal” however and their rates have been increasing in recent decades. As we will see in subsequent writings, many of these maladies and ailments are simply the result of behaviors, mis-conceptions, and environmental limitations leading to chronic low level nutrient deficiencies. Fortunately, it is a fact that many of these ailments can be prevented and even partially reversed by proper supplementation and diet. Virtually all chemical processes in the body are accomplished by the use of “enzymes”. Enzymes are like small machines made of protein, transcribed from DNA, transported actively within the body, and regulated to perform specific tasks in specific locations. Like all machines that are manufactured, the production of these enzymes requires specific and adequate supplies of resources so that they can be manufactured at an output rate where supply can meet demand. If the supply of required enzymes over time does not meet demand, a person’s health degenerates as a direct consequence. This is an inescapable fact. In order for the body to manufacture enough of the K2 activated enzymes to effectively repair and maintain all its internal systems, it needs for K2-MK4 to work in concert with magnesium, vitamin A and vitamin D. Only when the body has adequate stores of ALL of these fat soluble nutrients and certain minerals, can a full complement of restorative enzymes be maintained and utilized by the body. As the body ages, and the demand for these restorative enzymes increases, the simultaneous scarcity of the micronutrients in the typical food supply leads to the early onset of many age related “diseases”. This is true both today and historically. The vitamin K series was discovered in the 1920s – 1930s. At that time, it was thought that all forms of vitamin K performed similar functions. Both K1 and K2 forms were thought to be involved with supporting a family of enzymes that work together to achieve blood clotting. This complex biochemistry has been studied for nearly 100 years. The orchestra of enzymes required for blood clotting, as well as their actions and chemistries, are well understood today. It was not until the time between 1997 and 2004, however, that is was realized some critical mistakes had originally been made in the science of fat and its metabolism. It was the discovery of the vitamin K series and subsequent mistakes made in determination of its role that led the way for the other mistakes to follow. The key mistake made during the initial vitamin K research, was the wrongful interpretation that both vitamin K1 and K2 subgroups performed the same role and were limited to blood clotting. Not until nearly 70 years after its discovery, in 1997, was it finally realized that all vitamin K subtypes, had dramatically different, more complex and more important roles in the body than previously believed. This is especially true for the vitamin K2 subtype. It is also most particularly true for the MK4 variety of K2. The original misinterpretation of the role of vitamin K2 in the 1930’s led the way for the subsequent additional misinterpretation of the role of Cholesterol in health. Also misunderstood were the importance of healthy and properly fed animal sources of fat in the diet, and the critical role of gut biota. The human gut biota comprises ‘good bacteria’ which establish a symbiotic relationship in the gut characterized by mutual nutrient requirements, intracellular regulation and communication. Because critical facts about the nature of animal fat and its role in the human food chain were not correctly identified early on, incorrect assumptions about animal fat were carried into the burgeoning industrialization of the food chain, mass production of food, and growth of profitable businesses providing food for growing cities. The incorrect assumptions about animal fat continue to dominate our processed food supply today. Depletion of critical nutrients from our current food supply, particularly processed food, has resulted in a general lack of magnesium, K2-MK4, and other fat soluble activators that our brains and bodies depend on. While the totality of recently discovered K2 biochemistries are complex and far from completely understood, it is clear that vitamin K2 is one of the most critically important nutrients in the human body. Its actions are intertwined in a complex web of processes at the core of the body’s regulatory and restorative biochemistry surrounding the cellular life cycle. When we speak of the vitamin K2 subtype, there are several known species. These species differ in the length of the primary isoprene chain in the molecule. Members of the K2 subtype carry chain lengths from 4 units to 13 units. Thus K2 species are named as K2-MK4 to K2-MK13. However, it is only K2-MK4 that is naturally used in human and animal physiology. It can be manufactured directly by conversion of K1 in various tissues of the body and is the ideal size and shape to fit into the activation pocket of the appropriate enzymes in humans and animals. This enables it to properly activate all the bodies required functions. The K2 species with chain lengths longer than MK4 are products and by-products of anaerobic bacterial respiration. While human bodies can make use of these species to a large extent, they are not optimized to fit into the activation pockets of the enzymes for humans or other animals. 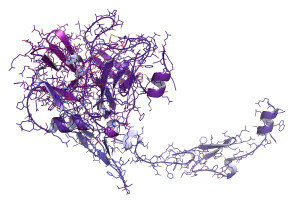 Figure 2, shows an example graphic of a substrate molecule binding with an activation pocket in an enzyme. 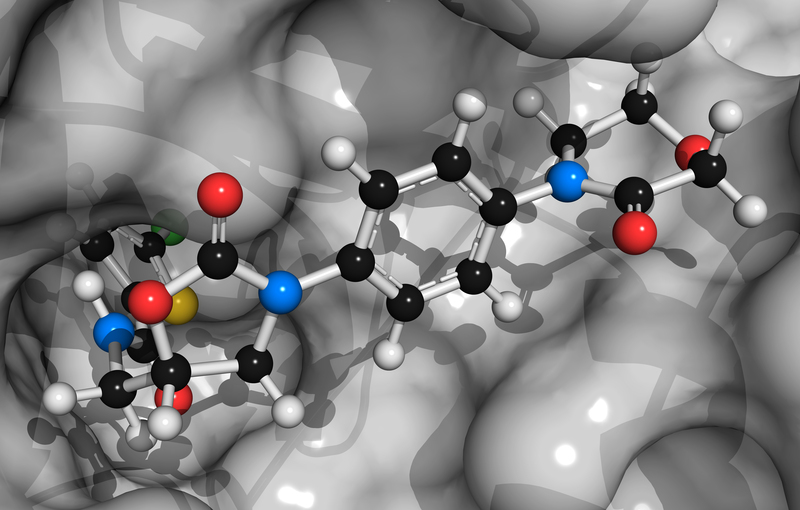 Those that are interested should look closely at the lower left portion of the interaction, where the specificity and closeness of fit between the two molecules can be observed. This binding specificity between ligand and substrate in biochemistry is the foundation of selectivity and control of operation for these biological machines. Figure 2 – A substrate molecule binding into an enzymes activation pocket. This interaction is like a “lock and key”. It is very specific and depends on the size, shape, composition, and surface charge density distribution of both molecules. When the molecule binds with the enzyme in this way, specific chemical and mechanical energies are exchanged, initiating structural changes in the protein. This chain of events, “activates” the protein in a number of possible ways, turning it on. Only since about 2004, has vitamin K2-MK4 begun to be recognized as one of the most critical nutrients in the human body. The reason vitamin K2-MK4 is so critical to development, health, and aging is due to its involvement in cellular healing, repair, and maintenance processes for virtually the entire body. To date, nearly all meaningful work and clinical studies, are performed using the K2-MK4 variant. In subsequent sections, we will cover the current findings surrounding the impact of MK4 on individual aspects of human health and aging. Specifically we will cover how MK4 is able to help maintain and/or improve health in the major systems of the human body, including the cardiovascular, endocrine, skin, skeleton, brain, nervous and gut. All the vitamin K2 species other than MK4, have longer chains and are produced by bacteria for their own metabolic needs. These are the K2 species MK5-MK13. As bacterial metabolites, these variants are not the same size and shape as the human variant MK4. Due to the different shapes of these bacterial variants, they are not as completely utilized by the body, nor are they transported as effectively to peripheral tissues prior to use. Due to the reduced affinity of the bacterial variants, such as MK7, to human tissues and transport enzymes, these species exhibit longer serum half-lives then does the MK4 variety. Bacterial variants, such as MK7, also exhibit adverse side effects at much lower dosages. While bacterial variants, such as MK7, can partially fulfill the role of MK4 in humans, these variants are not capable of activating all the same physiologies as can MK4. Unfortunately, there is much mis-information surrounding the use of MK7. MK7 is cheap and widely available. It can be easily and economically isolated as a natural product from particular plant based fermentation products. Despite this situation, most commercial sources are still produced synthetically as this is even more economical. Due to the favorable supply situation and corresponding low dosage thresholds for MK7, it has become the most widely available commercial source of vitamin K2. Vitamin K2-MK4, on the other hand, cannot economically be isolated from natural products and so is generally created synthetically for use in supplements. Due to the very low tendency to create side effects and its rapid assimilation by tissues, MK4 can be taken at much higher dosages than MK7, thereby boosting its efficacy by more than 10 fold. This situation does contribute to generally higher usage costs for MK4 relative to MK7. The higher usage costs, however, are more than compensated by much improved overall efficacy. The best known, and first discovered role of Vitamin K2-MK4 is its use during the final phase of construction of a large family of enzymes called “Vitamin K Dependent Proteins”, or VKDP for short. It is also known to be involved with more widespread support, maintenance and regulation roles. In short, the K2 activated enzymes, or VKDP, discovered thus far are primarily responsible for the maintenance, repair and restoration of the core systems of our body, primarily the endocrine, skeletal, cardiovascular, skin, brain and nervous systems. Just as K1 is known to be selectively stored in the liver and involved with the family of enzymes created for healing wounds via blood clotting, K2-MK4 is likewise transported specifically to peripheral target tissues and is involved with widespread and life critical cellular repair functions throughout all the systems of the body. Instead of being used to clot blood, as is K1 however, K2-MK4 functions are involved with healing damage to our cells as they undergo wear and tear throughout their lives. This is done, in part, by protecting them from calcification and helping to regulate their internal processes. This is because K2-MK4 is specifically involved with the regulation and transport of calcium, as well as the totality of cellular processes for the interrelated skin, skeletal, organ, brain, nerve, cardiovascular and immune systems. In the coming sections, we will cover many of the VKDP discovered thus far and look at their specific known roles and impacts on health. Only by studying how the enzymes work to repair our body, can we correctly understand how the “fat soluble activators” can help us. It is not just K2-MK4, or not just magnesium. Instead, it is the production rate and balance of these critical restorative enzymes, hormones, neurotransmitters, and other regulatory species that control impact on health. This is the reason that large amounts of K2 are not needed for dramatic health improvements. Rather it is the balance of all the bodies required micro-nutrients that fuel the production of the enzymes that constitute the “repair crews” we need in greater demand as we age. Genesis Biohealth has created a balanced blend of activators and a multi-product system allowing users to easily and conveniently provide their bodies with the right combination of fat soluble nutrients needed to fuel maximum production of these critical enzymes. Thus we help to initiate Regenesis. While the specific mechanisms are currently under intense scrutiny, all these enzymes have been shown to be produced and exported by many different tissue cells of the vascular system and also by blood platelet cells. All of these types of cells are also known to be involved with the development of atherosclerotic plaques. Additionally, these enzymes are mainly found in their inactive forms when measured in samples of arterial plaques, indicating vitamin K deficiency. The amount of these enzymes found in affected tissues, and their degree of activation, have been shown to strongly influence the presence of arterial calcium. Animal studies using genetically altered mice without the genes necessary to create the enzyme MGP, die of calcification of the vascular system and organs within 8 weeks after maturation. Other normal mice, when given high doses of the blood thinners Warfarin or Coumadin, rapidly die of the same symptoms. These drugs, which are the mainstay of coagulation therapy, are drugs known as vitamin K epoxide reductase inhibitors (VKOR inhibitors). These compounds block the enzyme necessary to regenerate vitamin K between the high and low energy forms. This then short circuits the vitamin K recycling system, causing an animal to rapidly lose its stored vitamin K and become unable to properly activate MGP, then leading to massive calcification. These studies clearly show that MGP, when activated by K2-MK4, is the primary mechanism for animals to regulate calcium deposition in soft tissues. Figure 1 – Diagram of vasculature anatomy. Individual cells must cooperate with each other and the rest of the body to properly coordinate their behavior. This cellular communication and coordination leads to both the proper function of the tissues, as well as their maintenance and repair processes. The initiation of calcification is now thought to be a failure of cellular regulatory processes in response to chronic inflammatory attack, rather than being caused by too much calcium. Just a few short years ago, vascular calcification was thought to be a passive process, and simply caused by the presence of too much insoluble calcium. Because of the recent research around K activated proteins, it is now clear that the formation of calcium plaques in the vascular system, as well as other tissues, is a regulated process and can be triggered by inflammatory processes. Hard tissues such as teeth and bones are supposed to allow mineralization, whereas soft-tissues are not. This means that when calcium plaque is formed in soft tissues, it is a result of improper metabolic control. In fact, the composition of these plaques are now known to be nearly identical to that of certain types of new bone growth. It is becoming fairly well accepted that the formation of vascular calcium plaques is due to the body trying to improperly form bone inside the veins and arteries as a response to inflammatory attack. This is due to partial failure of the bodies calcium and bone metabolisms, which are heavily dependent on K2-MK4, magnesium, D3 and A.
Vitamin K2-MK4 has now been shown to play a central role in many mechanisms allowing the four enzymes above to both actively heal inflammation and inhibit the formation of insoluble calcium. It does this by allowing the body to properly fight inflammation and to regulate cellular processes, thus effectively shuttling calcium from the vascular system to the skeletal tissues for assimilation. MK4 allows tissue cells coming under stress or damage to signal the need for rescue, maintenance and repair. While the details of all the mechanisms are not clear yet, it has been firmly established that MGP and Osteocalcin are both active calcification inhibitors and both will bind calcium ions and transport them when fully activated. These two proteins have also been shown to be active hormones when only partially activated. Since each of these enzymes has multiple sites for carboxylation and phosphorylation, they can each exist in either partially, or fully activated states. These partially activated species of MGP and Osteocalcin then act as hormonal regulatory agents. If they become fully reacted then they can perform their roles as calcium deposition inhibitors and transporters. This means the body does not intend for these proteins to exist exclusively in a fully reacted state. While the discovery of MGP is still quite fresh, it is nevertheless one of the best studied VKDP so far. As discussed above, MGP has been conclusively shown to play a dominant role in vascular calcium metabolism. The interaction between MGP and Osteocalcin in vascular cells has been shown to be the only mechanism the body has to actively prevent calcification before it occurs. Furthermore and importantly, their contributions have also been shown to be able to help reduce existing calcium deposits and repair damaged cells. Both of these enzymes are also found in bone tissue and have active roles there as well. Vitamin K2-MK4, magnesium, vitamin A and vitamin D are all needed for cells to complete the construction and activation of both MGP and Osteocalcin in the vascular tissues of the body. These nutrients are also needed for cells to sense changes in their environment and to communicate with neighboring cells. Without adequate fat soluble nutrients, much of the VKDP produced by these cells remain in the inactive form and cannot perform their intended duties to inhibit, remove, transport or regulate unintended calcification. Figure 2 – Diagram of Vascular Anatomy. Figure shows how endothelial cells control the valves in our veins which help control blood flow. The mechanical failure and lack of effective cellular repair for these valves leads to varicose veins, among other health issues. The vascular system has many specialized types of cells. Two such are endothelial cells and vascular smooth muscle cells. Figures 1-3 show diagrams of the anatomy of the vascular system and how these various tissue types help the vessels to function. Each of these types of vascular cells work together to help the blood vessels function properly. The cells of the blood-vessels play many crucial roles in the bodies overall health. 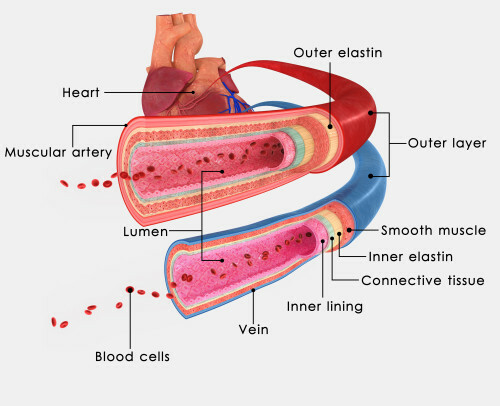 One of the roles for the cells in the lining of the veins and arteries is to selectively regulate blood flow along its pathway and route it properly to the various regions of the body. On a minute to minute basis, the vascular system is under complex autonomic regulatory control at the cellular level and selectively adjusts blood flow to the parts of the body that need it most. Without enough K2-MK4 the cells used to control the dilation and contraction of local vascular muscles cannot effectively sense their environment and communicate with neighboring cells and neurons to cooperate properly with the rest of the body. This makes it easier for these cells to sicken and die, leading to the initiation of calcification. 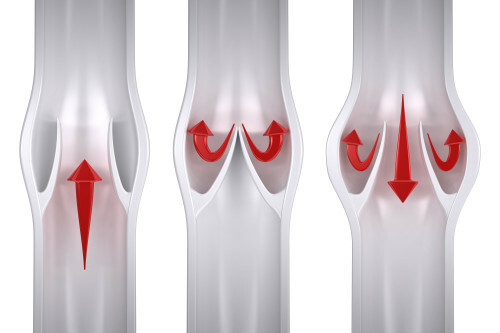 The progressive failure and loss of elasticity of calcified cells in the vascular system, leads to the loss of ability to direct blood flow efficiently as well as less of mechanical durability. Both of these problems then can dramatically affect health as calcification slowly progresses over the decades. 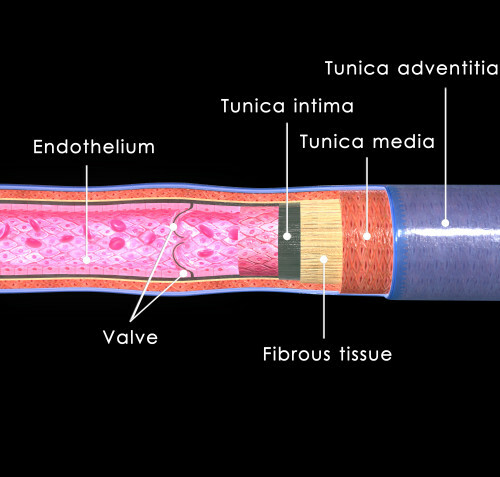 Figure 3 – Diagram of Vascular Anatomy. The proper operation and repair of the tissues of the vascular system dramatically affect overall health. The body depends upon the cardiovascular system to distribute all its most critical resources. Cellular repair and regeneration are process that depends heavily on all the fat soluble activators, especially Magnesium and vitamins K2-MK4, A and D.
While Osteocalcin and MGP actively bind and transport calcium and require K2-MK4 to do so, the other two VKDP listed above have different roles. Gas-6 and Protein-S must also interact with K2-MK4 in order to operate. In their case however, K2-MK4 is used as a switch to either turn them on or off. When turned on, these enzymes can interact with specialized cellular receptor enzymes on the surfaces of cells. These receptors are used by the cell to monitor environmental changes, communicate with neighboring cells, and control active import and export of resources across the cell wall. These chemical communications and cellular mechanisms are very complex. They are used by cells to regulate their own internal processes and also to help create and deploy resources that are called upon by neighboring cells who may need assistance. When cells come under inflammatory attack, these signaling and logistical actions become critical. Without enough K2-MK4, neither Gas-6 nor Protein-S can be fully activated, and thus cannot perform their intended communication and switching roles. As a result the affected cells can’t be rescued or fixed efficiently and die more easily. This then forces new cells to be grown more frequently than necessary, thereby increasing both genetic aging and calcification rates. As discussed above, both Gas-6 and Protein-S, have been shown to have many switching and communication roles. In one of these roles both enzymes directly affect the mechanical abilities for the vasculature to dilate, contract and direct blood flow by helping keep the constituent cells in good repair and free of calcium deposits, while also allowing them to communicate with local neurons of the nervous system. A healthy calcium metabolism, then has the effect of helping to keep the vascular system supple, elastic and able to work properly. The new research surrounding the signaling roles of the VKDP participating in the administration and logistics of the cellular life cycle is strong evidence for an even wider and more important role of K2-MK4 in vascular health than the simple transport and inhibition of calcium. In conclusion, multiple ways have been discovered in which vitamin K2-MK4 critically affects the health of the cardiovascular system. These mechanisms directly and indirectly affect the growth, death, maintenance and construction of the vasculature itself and its calcification status. They also affect the individual cells of the vasculature systems ability to undergo local repair processes, stay supple, and otherwise operate properly as they defend themselves from their surroundings during their lives. Improperly maintained vasculature can give rise to a large number of symptoms over time as the health of the system declines and nutrient supply is progressively outstripped by demand. From a practical perspective, and a prime question of those new to K2-MK4, is whether or not “de-calcification” of an already calcified organ or system of tissues, such as the cardiovascular system, can be affected? In other words, can usage of the described K2-MK4 regimen lead to restoring the body to a less calcified status? If the body is indeed suffering from a linked set of chronic nutrient deficiencies, the answer is an absolute yes! Unfortunately however, since these cellular processes affecting vascular calcification are so newly discovered, this information is not commonly known and has not been institutionalized. Metabolic syndrome is a collection of abnormalities surrounding metabolism. Metabolic syndrome puts individuals at higher risk for diabetes and cardiovascular disease, among other disorders. Several studies have positively linked K2-MK4 status directly to both metabolic syndrome and diabetes. While the linkages are not completely understood, calcium metabolism, vascular health, fat metabolism, glucose metabolism, insulin, and endocrine health are all intertwined with many common linkages shared by vitamin K2 and magnesium chemistry. How Can Vitamin K2-MK4 Help? One of the earliest discoveries of a K2 activated enzyme, was Osteocalcin. Osteocalcin is a VKDP (Vitamin K Dependent Protein) tasked with many complex roles surrounding calcium metabolism throughout the body. These roles include processes involved with both bone health and blood sugar regulation. Osteocalcin, like MGP and Gas-6, is an enzyme that must be constructed in the simultaneous presence of vitamin K2-MK4 in order to work properly. When osteocalcin is being synthesized in the cells endoplasmic reticulum, it needs the simultaneous presence of K2-MK4 for completion. K2-MK4 is therefore defined as a “cofactor” for the protein synthesis of osteocalcin, as it is for all VKDP. Osteocalcin has been clearly shown to be involved with glucose and insulin regulation throughout the body. By helping finalize the construction of osteocalcin, K2-MK4 enables this critical enzyme to fulfill its particular role in the cellular regulation of blood sugar. How is Osteocalcin Activated by MK4? After the biochemical synthesis of these enzymes, construction is finalized when certain structural elements in these proteins called “glutamate residues” are chemically changed in a specific and irreversible way. This step is called “carboxylation”. Osteocalcin has 3 separate glutamate residues which can be carboxylated. Each subsequent carboxylation of the 3 appropriate residues in osteocalcin further modifies the action of the enzyme. At least two of these residues must be carboxylated for osteocalcin to bind calcium. When the protein is less than fully carboxylated, at least some of these forms are known to be hormonal and involved with glucose metabolism. Carboxylation of osteocalcin occurs only when vitamin K2-MK4 first binds into the active pocket of another type of VKDP called a “carboxylase”. In this case, the carboxylase enzyme is tethered to the surface of the cells endoplasmic reticulum by a molecular chain linking it to the membrane surface. When K2-MK4 binds with the carboxylase, the enzymes geometrical structure is changed and it is “turned on”. The enzyme changes its structure by opening a hidden reactive pocket so that it can recognize and bind to osteocalcin. After the structural change induced by K2-MK4 binding occurs, the carboxylase is then ready to bind with another VKDP to carboxylate it. After both the osteocalcin and carboxylase enzymes are simultaneously activated by K2-MK4 binding, they are both then ready to bind each other, which results in the subsequent carboxylation reaction on the currently targeted glutamate residue. The K2 activated binding between osteocalcin and the membrane tethered carboxylase enzyme forms a structural complex which holds the appropriate residues on the osteocalcin molecule in a specific geometric proximity to the necessary portions of the carboxylase molecule so they can interact and react. The binding helps enforce the appropriate geometry so that the portions of the molecule needing to react are in close proximity to one another and can do so. After the binding between the carboxylase and osteocalcin form the necessary structural complex to enable the carboxylation reaction of osteocalcin to proceed, K2-MK4 is once again needed. In this case the K2-MK4 approaches the reactive site of the carboxylase-osteocalcin complex and is then catalyzed to change chemically from its high energy form to its low energy form. This chemical change then releases the energy used to drive the carboxylation reaction of the currently targeted osteocalcin residue. This process occurs again and again until the appropriate number of glutamate residues are carboxylated. Once K2-MK4 is used by being chemically transformed from its high energy form to its low energy form, it cannot be used again until it is recycled by another set of enzymes that take it through the “vitamin K cycle”. This cycle converts the K2 molecule back to its high energy form again so that it can be reused. How Does This Help Metabolic Syndrome? In the mechanism described above, K2-MK4 plays the role of both an activating switch and an energy carrier for the regulation and carboxylation of osteocalcin. Without K2, these reactions cannot occur and osteocalcin cannot be regulated or modified to work properly. Osteocalcin, having three sites capable of being carboxylated, can exist in 4 distinct forms. if Osteocalcin is in one of the 4 forms that cannot bind calcium, it is known as “undercarboxylated” osteocalcin, or ucOC for short. Undercarboxylated Osteocalcin is shown by many studies to be involved with blood sugar regulation. Measurement of the ratio between the different forms of osteocalcin is a very important tool for the study of vitamin K2 physiology. With a proper regimen, magnesium and K2-MK4 with the other fat soluble activators can help to improve blood sugar regulation. This is done by helping improve insulin sensitivity and glucose metabolism in general. Additionally many users report a decrease in overall hunger and an associated gradual weight loss over time, which also help symptoms improve. This is because much of the hunger response is due to the body signaling its need for these micro-nutrients, which are not available in large enough quantities in the foods at the grocery store. Once enough of the fat soluble activators are assimilated by the body, satiation is more easily achieved and hunger often diminishes substantially. This is an indication of multiple nutrient gaps being closed. All the factors discussed above lead to improved blood sugar response and control over time. Laboratory studies, as well as numerous studies in rats and humans, have conclusively demonstrated that undercarboxylated Osteocalcin (ucOC) is a hormonally active regulatory agent involved in glucose metabolism. For this reason we urge any who seek to improve their health by taking doses of K2-MK4 over theoretically normal dietary levels to rethink their strategy. It is entirely possible that too much MK4 could interfere with the balance between these various forms of hormonal osteocalcin. It is a well known hallmark of vitamin deficiency illnesses that symptoms rapidly subside once the relevant gaps are closed and normal levels of the nutrients are achieved. Mega doses are not necessary, as the body is not able to use more than a reasonable multiple of the proper amount. It is more important to make sure all the gaps are well closed and cellular stores are replenished, than to increase dosages of specific nutrients to some arbitrary level. It is important to note that since K2 chemistry is magnesium limited, it is magnesium that often needs to be increased to ensure the desired efficacy of K2-MK4. A few mg per day of K2-MK4 can provide supreme efficacy within an 8 month time frame if proper diet and magnesium levels are maintained throughout, and the person taking the supplements was actually deficient in these nutrients anyway. High dosages are known to be un-necessary for any reason. On the other hand, an abnormally high dosage of MK4 relative to physiological needs runs the risk of pushing the equilibria of ucOC to OC too high. It is plausible that disturbing this natural balance, beyond what the body is meant to utilize, could have a long term impact on hormonal regulation of both bone and glucose metabolism. High doses of K2-MK4 are also potentially capable of inducing magnesium deficiency symptoms even in the presence of supplementation. In short, only by taking K2 with a proper dosage of quality magnesium and the other fat soluble activators can we obtain the most from it. If a few mg/day of MK-MK4 for several months is not impacting your issues, then it is entirely likely that there are other driving reasons, or limitations, that are not being addressed. Usually this is diet related. Too much bad food containing cellular disruptors can inflict inflammation on the body faster than it is able to repair itself. Hardening of the Arteries is Partially a K2-MK4 Deficiency. Another mechanism by which MGP, osteocalcin, and K2-MK4 can affect endocrine disorders is by the prevention, or reversal, of calcification for the body’s organs. This is especially true for the organs of the endocrine system. It has long been known that the endocrine organs are among the most susceptible to calcification (hardening of the arteries) as we age. Calcified endocrine organs are not able to regulate the endocrine system as effectively as supple healthy ones. The overall calcification status of soft tissues in the body is thought to be directly linked to endocrine health, therefore affecting many of the bodies signaling and regulatory capabilities. While it is still only poorly understood, it is clear that there is an endocrine regulatory loop between skeletal health and glucose metabolism that mutually involves osteocalcin. Supplementation with K2-MK4, and the other fat soluble activators, has been shown to be beneficial for both ailments. This is because Osteocalcin, as a VKDP, cannot operate properly to transport calcium, or complete its other roles, until properly activated and carboxylated by K2 dependent mechanisms. K2-MK4, magnesium, and the other fat soluble activators have been linked to improvements in many diabetes markers. These include: healthy glycated hemoglobin (HbA1c) status, improved insulin secretion, improved insulin sensitivity and improved fasting blood glucose. Although osteocalcin is very active in glucose metabolism, it was first discovered, and is best understood mechanistically, for its role in skeletal metabolism. Because of its dual role, we will discuss osteocalcin in more detail in the following section on skeletal health. For Diabetes and Metabolic syndrome however, it important to realize that both K2-MK4 and osteocalcin have been conclusively demonstrated to play central roles in glucose metabolism. Osteocalcin is Really Important for Bone Health! Among the first discovered and most extensively studied of the VKDP (Vitamin K Dependent Protein) is Osteocalcin. This vitamin K activated enzyme is implicated, along with K2-MK4 and magnesium, in Osteoporosis. Lab tests for “Undercarboxylated Osteocalcin” (ucOC), discussed in the last section, are also a critical tool for vitamin K research. This metric has been strongly correlated with Osteoporosis, and many other ailments in discussion. Most importantly, vitamin K2-MK4 has been conclusively shown, in laboratory, mouse and human studies, to improve osteoporosis (reduced fractures relative to control groups) and overall skeletal health. This is because osteocalcin, aside from acting as a signaling agent, is tasked with activities surrounding bone turnover and the inter-cellular transport of calcium. Although all the roles for Osteocalcin are not completely understood yet, it is clear that one of its most important jobs is to incorporate calcium into the skeleton’s growing bone matrix. Osteocalcin, in the presence of adequate magnesium, K2-MK4 and the other fat soluble activators, works to create and maintain a healthy, flexible and fracture resistant skeleton, together with a healthy immune system founded in the bone marrow. It is especially important to note that improved bone density is often not necessarily observed in treatment with K2-MK4. Rather it is the micro-structure of the bone, its flexibility and resistance to breakage that is improved. First, K2-MK4 has been conclusively proven in numerous clinical studies to improve fracture rates and other markers for Osteoporosis in humans, mice and the laboratory. In fact, K2-MK4, known clinically as “menatetrenone”, is the first line of prescription based drug intervention in Japan. Japan is where the original clinical studies were performed in the mid 1990’s. The evidence of the collective studies to-date is overwhelming. Both K2-MK4, magnesium and the other fat soluble activators, are great for bone health! In some more recent studies, vitamin K2-MK4, calcium, and magnesium were independently controlled in rat diets to show that the rat’s bones were less dense, but took more force to break when taking all three nutrients together compared to those fed only calcium rich diets. In magnesium and K2 deficient mice, the bones were more dense but broke much more easily under load. The evidence suggests that K2 and osteocalcin help regulate the ratio of calcium and magnesium placed into growing bone and directly impact the microscopic structure of the bone matrix. This means that adequate levels of vitamin K2-MK4, calcium and magnesium over time consistently led to lighter, more flexible and stronger bones that better resisted breaking. In short, the evidence is overwhelming that vitamin K2-MK4, in combination with magnesium, and vitamins A and D, can help prevent, or even reverse, osteoporosis in humans. Additionally, over time many practitioners report increased mobility and a reduction or elimination of arthritis and other inflammatory joint, tendon and muscle conditions. At Genesis BioHealth, none of our customers use more than 6 mg/day of K2-MK4, as delivered by the Regenesis© products, while most use 3 mg or less. Nearly all users see continuing improvement of multiple skeletal conditions over time-frames of 2 to 18 months. Importantly however, one has to realize that it is primarily dietary choices that give rise to these endocrine disorders. Many plant based foods specifically attack the skeleton and its connective tissues. Chronic high-level and long term usage of these foods causes inflammatory damage and autoimmune disease. K2-MK4 can help reduce and control this inflammation, but cannot overwhelm constant attack and damage from poor food choices. Seed based foods, such as grains, nuts, beans and vegetable oils, and also the nightshade plants, (potato skins, peppers of all types, tomatoes and eggplants) contain chemicals that specifically target joints and connective tissues. Reducing or eliminating these foods from the diet dramatically impacts the ability of the fat soluble activators to control inflammation, maintain tissues of all types, and effect cellular repair. The study of vitamin K2-MK4 on the brain and central nervous system (CNS) is in its infancy. However, a few things are clear. Foremost is that VKDP chemistry is at the core of these physiologies with roles both numerous and complex. Another very important point is that the brain uses specifically the MK4 sub-type of K2. It has been found that 98% of vitamin K in the brains of animals is of the K2-MK4 variety. This is true even when the distribution of available K isoforms is different elsewhere in the body. How Do We Know MK4 is Important for the Brain and CNS? While the body produces MK4 from K1 via direct conversion, it also accumulates K1, K2-MK4, and the higher species of K2 (MK5-MK14) from the diet. The body then actively transports and concentrates primarily MK4 in the brain and CNS for reasons of its own. This is true even when the body has plenty of the other forms available, such as K2-MK7, or K1. As such, the chemistry of K2-MK4 is of special interest to the fidelity of the brain and CNS. The liver, on the other hand concentrates the K1 isoform. The different relative distributions of vitamin K isoforms in the liver and brain respectively offer important clues towards the active transport of vitamin K.
We have already introduced the VKDP called Gas-6 in the Cardiovascular Health section above. As stated previously, in the metabolism of the brain and nervous system, Gas-6 is central. Another important VKDP in brain and CNS biochemistry is called “Protein S”. As with all VKDP, both Gas-6 and Protein S need vitamin K2-MK4 and magnesium to work. In the brain, as described above, K2-MK4 plays a central role. In short, the MK4 variant of K2 is especially important for brain and CNS function over all other types. The biochemistry and metabolism of the brain and CNS is incredibly complex. Vitamin K2-MK4 plays a critical role both directly and indirectly. Animal studies, limited human studies, and biochemical research all support the critical role of vitamin K2-MK4 in the little known chemistry of the brain and entire nervous system. Energy and mood are both affected by the fat soluble activators due to a number of interrelated processes. For this discussion we will define the term “energy” as being related to cellular respiration and the sufficient production of cellular ATP (adenosine triphosphate), the currency of cellular energy. The benefits of complete and efficient cellular respiration with high levels of subsequent ATP production are amazingly practical towards our daily lives. While “cellular respiration” sounds technical, what benefit does good cellular energy give us? How does it affect mood? Why are mood and cellular energy even in the same category? What Good does ATP Do Us? Basically with more ATP power in our cells, the body can do more things at the same time. The benefits of our bodies having enough energy to multi-task are tremendous. This is true on a large number of practical levels. When we give our body more magnesium, and the other fat soluble activators, it can generate more ATP. More ATP means the body can do more things simultaneously. As a simple analogy, imagine all the physiology in our bodies as a package courier service. As a courier service, we would have a fleet of vehicles to deliver packages all over the city as quickly as we could. Let’s say our courier service owned 50 trucks and we had enough customers that we needed them all each day. Maybe we would even like to grow our fleet because we barely have enough trucks with 50? Wouldn’t it be good to buy more trucks so we could take on more customers? These courier trucks are tasked with zipping around the city all day, delivering packages. So for a thought experiment, imagine how effective the package delivery success rate would be if someone came along and cut the typical daily fuel supply in half? Do you think all the packages would still get to their destinations on time with ½ fuel? You can be sure that problems would ensue if we only had ½ the gasoline we needed for the fleet! Some may be familiar with similar situations in their own daily lives? We are continually asked to do more with less. At some point the system begins to break if we continue along this path for too long. For a day or two, we could make do on ½ rations perhaps. But for any extended time we would have to adapt our operations. What would we do? How would we choose which packages to deliver first? Are some packages more important than others? Would we prioritize delivery for our most important customers, or the most important packages? Certainly some prioritization mechanism would be necessary, so that some packages continued to flow properly at least? Keeping priority packages flowing might be better than letting all package deliver stop. How would we choose? One thing is for sure, we would have to downsize fleet operations if rationing went on for too long. The customers would get mad if we could not consistently deliver their packages on time. We would need to turn away business if we could not deploy our entire fleet to meet a large demand. We would have to scale our customer base to use the resources we actually had available. Some of the trucks would either have to be shut down, or each truck could only drive ½ as far? In likelihood a little of both would occur over time. Amazingly, the mechanical actions of the body at the molecular and cellular level are very similar in some important ways. Our body needs millions of enzymes and other metabolites zipping around all the time performing their duties. Most of these metabolites require ATP for production and utilization. If there is not enough ATP available, our body has to ration it. It is a necessity of the laws of physics and chemistry. A body cannot complete all its needed tasks each day if it does not have sufficient resources. If resource rationing goes on for very long, certain lower priority processes will have to be shut down at the genetic level until more nutrients become available. Conversely, if a body consistently has an excess of materials and fuel, it can then begin prioritizing what to fix, and how to get ahead, rather than always choosing the most important processes to preserve at the expense of others. It is a fundamental balance of energies at the core of the natural laws. This is the problem we want to give our bodies. The problem of working to figure out how to use an excess of material and energy. In this situation, old mothballed processes can be restarted. New tissues can be grown. Nerves and cells can be repaired. New growth and repair throughout the body can be accomplished. At the conscious macro level, where it affects our mood, more physical and mental tasks can be completed each day with less stress accumulated. More thoughts can by thunk! More projects can be completed, without even trying. That small task you have been letting sit all year because it isn’t very important and you have been crushed for time might actually get done finally? Suddenly these tasks may start to get completed while you are doing something else at the same time. The light bulbs and AA batteries are often right next to one another, in the pantry, after all? Wouldn’t it be better to tackle both tasks on the same trip? When your brain can generate more thoughts in the same time slices, it can multi-task much more effectively. Your body can perform more actions with less effort. In this case, one might just grab the light bulk in the cabinet next door as they fetched the batteries for the remote. They might just then change that long burned out light bulb in the hall closet on the way to putting new batteries into the remote? Both tasks can be completed with little extra effort. Why put the lower priority task off for so long? Would it make us more or less happy to get all our tasks completed with extra energy left over? Even the formation of thoughts and their chemical foundation can be well argued to be MK4 dependent. How Does this Affect Our Health, or Our Mood? Let’s take an example. Say your body was on a ½ ration of ATP, just like the courier analogy above. Do you believe it could heal from exercise and carry on a complex conversation while walking, all at the same time? After a jog with a friend perhaps? No, it might not. If you don’t have enough energy, your body has to delay healing until you sleep. If you force it to run, it will run. If you force it to work, it will work. At least until your will is gone, or its resources are consumed. But these choices consume resources. If there are not enough resources available, other processes must be delayed or halted for your will to be done. Have you ever felt like just falling into bed at the end of the day? At the end of the week? Does it sometimes feel as if your energy is not up to the task of your commitments? If this is the case, then it is likely that the ATP supply requirements your body needs to function during your waking day, are taking a higher priority than those needed to perform cellular repair. Your body is being forced to time-share these processes and complete them in more of a serial fashion, one after the other. While you may be getting plenty of sleep, your body many not have enough energy, or other vital nutrients, to complete all of these tasks, the greatest percentage of the time. This will drain your reserves and necessarily cause declining health until sufficient resources become available. In fact, sufficient ATP production rates, in combination with the other micronutrients in discussion, can SIMULTANEOUSLY fuel the continuing production of ATP, bodily hormones, neurotransmitters, enzymes and all other vital factors at a rate and frequency sufficient to continually meet even rigorous physical demands placed on the body. If there are plenty of cellular resources available, then the cellular factories can run at full capacity and can even grow their capacity to meet ALL the needs of the body. At least within reasonable limits. One way all these things affect mood is that giving the body plenty of energy allows it to make all the chemicals it needs on short demand with plenty of reserves left to spare. Let’s consider the adrenal system and stress response? I am sure most of us can agree that excess stress can destroy a person’s mood very quickly? If the body is subjected to any sort of stress, it often interprets this as needing to initiate a cellular response. The tissues of the body will start to secrete stress hormones and other metabolites…the so called fight-or-flight response as one example! I’m sure most of us have experienced an adrenaline rush when we got scared by a near collision, or some calamity? From a survival perspective, the body does not have time to wait and see if it is really about to get killed or not! It has to take immediate action. If it waits to further evaluate the situation, death may ensure. Thus the cellular and molecular response to stress is a very high priority from a survival perspective. Many chemical resources will be rapidly consumed during this response and the resultant produced metabolites will be mobilized throughout the body. Well, hopefully the body survives the stress! If it does, then it will have time to decide whether or not the danger has passed? If it decides the danger is gone, it can then begin to mop up and put away all those fancy turbo-charging stress hormones and begin fixing whatever sorts of damage may have occurred in the body. That is if it has the energy and other resources it needs to do so? Hopefully that adrenaline rush and the actions we were forced to take did not drain our nutrient reserves to critical levels. Even more rationing would then be necessary in the future. Fortunately or unfortunately, the cleanup and repair from the impending danger is not nearly as high of a priority as was squirting out the turbo charging molecules in the first place. We can delay much of the repair and recharging till bedtime if we have too. But gradually this is a war of attrition. Without adequate nutrient influx, supply cannot keep up with demand on average. Downsizing and increased rates of mechanical failure must follow such a situation. When the danger is gone, the body can re-prioritize how to spend its resources if desired. If we were to go to sleep right after the event, the body could get everything all cleaned up, even with limited resources. However, if we were to call up a friend, to decompress perhaps, or then went right back to work and started working on our deadlines, the body would be forced to necessarily prioritize these conscious activities in place of cleaning up the stress hormones and cellular damage after the scare. If it was resource constrained that is! Adrenal Fatigue for One Thing! Having enough cellular resources to clean and repair after a series of daily micro stresses and yet also spend the day talking to friends, getting our work done, and finishing the day with energy to spare is a great thing. In this way, the body can keep up with its chemical and metabolic demands. If a body does not have to ration resources, it can recover from stress and walk, talk, and heal, all at the same time. I call this cellular bandwidth! It comes from effective cellular respiration…the brain is composed of cells, as are all our organs. These cells need energy and material resources to function. If there is not enough energy or nutrients, something does not function. It is that simple. This situation can lead to many forms of stress. The sum of all stresses on the body and their disposition and processing can affect mood dramatically. Giving your body the resources it needs to simultaneously meet all its metabolic needs has the impact of reducing anxiety and improving mood. The anxiety is often being caused by a continued inability of the body to meet the demands of ongoing stress response. This scenario above is sometimes called “adrenal fatigue” and is very real regardless of how it is called. I personally would broaden the term and call it “metabolic fatigue” instead. This is because it is not only the adrenal system that is forced to deal with prioritizing tasks and resources to repair damage. Whatever the name, the phenomenon is rooted in the body’s inability to manufacture sufficient biological agents at a sufficient rate to meet demand the greatest percentage of the time. Classical chemical kinetics en-masse. The Practical Origins of Baseline Fatigue, Health, and Mood. From the above, it should be clear that it is a good thing to provide our body with sufficient nutrients and fuel so that it can manufacture enough cellular energy and material to carry out all its daily tasks, and stay healthy at the same time. A limitation in any of the critical fat soluble micronutrients, however, can force the body to hoard its vital resources. These resources are then expended only for the most critical activities. If we do not get enough vital nutrients, like magnesium and K2-MK4, then this creates a situation wherein the conscious necessities of the day compete for the same resources needed by the autonomic system to maintain robust health. In this situation both daily energy and nightly repair may be resource constrained. If this is the case, both day and night processes might be unable to occur effectively at the same time. In fact, if resources are too low, the repair and detox processes may even not be able to be finished completely by morning. This situation can easily lead to perceived lethargy, depression and declining health. Empirical evidence and solid biochemistry demonstrates the truth of these statements. In reality all processes in the body follow the laws of supply and demand for the nutrients used to operate the body from one second to the next. Similarly the balance of hormones and signaling agents that control the production and usage of these chemicals must meet supply and demand criteria themselves. The ongoing rates of these processes are all subject to the available reserves of K2-MK4, D3, A, D, magnesium and other nutrients. More importantly, perhaps, is that if a body’s health has declined, due to the factors above, if it is then given adequate resources and energy, the cells of the body can begin to simultaneously secrete enough of these vital compounds to deal with day-to-day issues without having to reallocate resources from other health related sub-systems. Health can then begin to improve. In general, it is safe to say that it is not healthy for the body to have to ration resources for things such as the function, healing and maintenance for the tissues of the neuromuscular, cardiovascular, skeletal, digestive, and immune systems. How do Vitamin K2-MK4 and the Activators Help? In 2012, a pivotal study using genetically altered fruit flies demonstrated that K2-MK4 was able to repair metabolic dysfunction. In this case it was directly shown that proper supplementation enabled the electron transport chain fueling ATP production to be repaired and begin to operate at improved efficiency, even if it was genetically damaged. The difference in the fruit flies ATP production levels before and after K2-MK4 supplementation was dramatic enough to either enable or disable the fly’s ability to fly (pun intended)! In other words, before K2-MK4 supplementation, the flies could not muster the energy to fly around (could not, or would not. Are they the same?). After taking K2-MK4 the flies could then immediately start to fly. The improved ATP generation rates, immediately catalyzed by the MK4, gave the flies the energy they needed to take flight! Also, in chicks, it has been shown that ATP production rates are inhibited by vitamin K deficiency. While the mechanisms are not yet clear, several key links have been established between cellular respiration, K2-MK4, and magnesium. Mood, and health in general, are often related to hormonal and nervous system function, or dysfunction. Stress response, as we discussed above, can dramatically affect mood. This is especially true when one is low on energy anyway. Prolonged low level stress, which is allowed to consume the body’s nutrient resources, will eventually leave it without enough respective ATP, hormonal, and neurotransmitter bandwidth, to stave off adrenal fatigue and depression. Serotonin, which is a neurotransmitter widely known for “happiness” in the brain, has also been shown to be magnesium and vitamin D3 dependent. Likewise testosterone and/or estrogen levels can affect mood in many ways! More effective production and/or utilization of these key hormones has been directly linked to vitamin K2-MK4, as well as magnesium and vitamin D3. In the case of testosterone and estrogen specifically, vitamin K2-MK4 has been shown to be an aromatase inhibitor, and therefore able to affect production rates and dependent measurable serum levels. Vitamin K in general has also been shown to be implicated in glutamate conversion. Glutamate is one of the most prevalent neurotransmitters in the brain. The endocrine system itself is also known to be very sensitive to calcification. Calcified organs do not create hormones as effectively. In summary, the entire brain and central nervous system make heavy use of vitamin K2-MK4, as do all the sub-systems of the body. Importantly and practically, people using vitamin K2-MK4 in combination with magnesium and vitamins A and D, widely report dramatically improved “energy”, “productivity”, and “mood”. ATP is actually bound to magnesium for cellular transport, and magnesium is also necessary at several steps in the electron transport chain for ATP production. Thus it is no surprise that it has been conclusively shown that ingesting sufficient magnesium can improve cellular respiration. New studies also show that K2-MK4 works to support, repair, and improve healthy, or even previously damaged cellular respiration machinery. K2-MK4 also supports the skin, brain, skeleton, nervous, endocrine, digestive and immune systems in many integral ways. The intersection of the states of these physiologies has a large impact on an individual’s mood and perceived energy. Vitamin K2-MK4 and magnesium, along with adequate amounts of vitamins A and D are a winning combination for supporting optimal energy production in the human body. In truth, the mind, body and spirit are all one. All are connected via biochemistries dependent on magnesium and the fat soluble activators. Only when all three aspects are healthy, can we be completely happy. Vitamin K Helps Fight Cancer! All forms of vitamin K have long been shown to have potent anti-cancer activity. Numerous laboratory and mouse studies have conclusively demonstrated efficacy. In cancer cell culture studies, the ability to kill many different cell lines has also been conclusively demonstrated for K2-MK4. Studies available at the time of this writing include liver, colon, lung, leukemia, stomach, lymphocyte, nasopharynx, breast and oral epidermoid cancers. Unfortunately human clinical trials are still in their infancy. There are some striking human case studies available, however, that are very promising and support the animal and lab studies. The mechanisms of how vitamin K is able to help the body kill cancer are still largely unknown. The newest studies suggest a mechanism somehow resulting in either re-differentiation of cancer cells back to normal cells, and/or direct triggering of cell death for cancer cells, while preserving normal cells. This again illustrates the primary role and subtle importance of the intracellular selectivity, regulatory, control, administration, and cellular communication modalities of the vitamin K mediated physiologies. In short, K2-MK4 is used to turn on some rather complicated and mysterious cellular machinery that appears to be very integral to the cellular life cycle. These processes are involved with communication and signaling with other biochemistries that participate in cell rescue, repair, differentiation, death, and reproduction. It appears that these mechanisms help cells stay healthy and to not turn into cancer cells due to genetic mutation. Then if a mutated cell is within some limits, it can be triggered to turn back into a healthy cell, or triggered to die and be regenerated. In the portions below we will look at some of the particular ways in which K2-MK4 and its VKDP are able to affect these processes. In another set of studies, the enzymes Gas-6 and Protein S introduced in previous sections, have been shown to be members of larger sub-classes of VKDP that are only very partially identified and named yet. Even more importantly though, Gas-6 and Protein S have both been recently shown to be purposed with binding directly to another very important class of enzyme, in a lock and key fashion. These other types of enzymes shown to bind to the new classes of VKDP are called “Receptor Tyrosine Kinases”, or RTK for short. Both the new and the yet to be discovered VKDP, which are part of the Gas-6 and Protein S families, are expected to interact with their RTK in a similar way. This means that the scale of these mechanisms is much more diverse than previously thought. The selective binding between the VKDP and RTK enzymes has been shown to modify the behavior of the resulting substrate-ligand complex in multiple ways. RTK are long known and well studied as a general class of protein. RTK are always involved with both inter and intracellular communication roles for numerous cellular processes. What the Heck is an RTK? RTK proteins are large proteins that are embedded into a cells outer wall. These types of proteins are known as “membrane proteins” In the case of RTK, they are of a specific subclass of membrane proteins, called “trans-membrane” proteins. Trans-membrane proteins have functional and mechanically sensitive portions of the protein sticking both above and below the cell wall. The portion of the RTK protruding up and out of the cell wall is like a key-card reader in a way. This is because the external and mechanically active portions of the molecule can bind to other signalling molecules outside the cell which can act as “key-cards” of sorts. When a key-card molecule binds with a key-card reader portion of an RTK, the RTK is then triggered to undergo a series of structural changes. These changes are then transmitted through the proteins structure to the other side, which protrudes into the inside of the cell. Once the inside portion of the RTK molecule is triggered to change its shape, or become “activated”, then other cooperative proteins participating in the cascade inside the cell are now able to precisely fit onto it. This selective binding with other proteins inside the cell in response to the activation of the RTK then triggers various other cellular activities, depending upon what the particular signal is coding for. sorting and directing traffic for inter-organelle resource transport inside the cell. Basically RTK are like little antennae that stick out of the cell and are used to sense signals from other cells. These chemical signals are then used to start or stop cellular machinery so that the cell can carry out a variety very complex chemical processes. Figure 1 illustrates how enzymes secreted by one cell, can trigger a wide variety of actions in other cells. Not only can cells of one type communicate with one another, but cells of one type can also activate cells of another type, even if they are located elsewhere in the body. In the case of insulin, for instance, the hormone is created by cells in the pancreas, but used to signal cells all over the body. 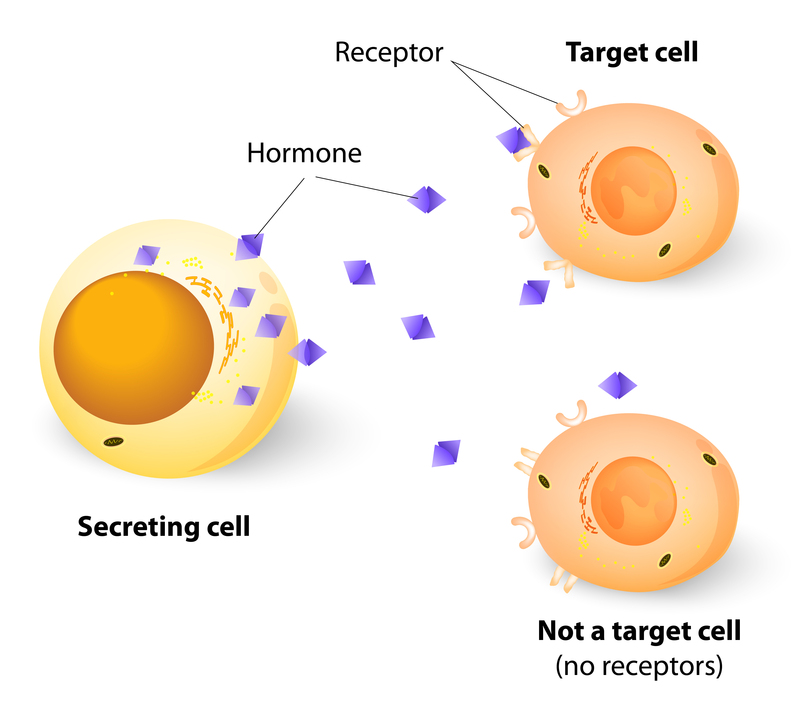 Figure 1 – Cells can sense signals from other cells via cellular receptor enzymes called Receptor Tyrosine Kinases (RTK). One cell can secrete a molecule that then selectively activates actions in other cells. These cellular communication and control schemes are numerous and widespread in our bodies. They are indispensable for healthy cellular function throughout the body. Many RTK have been studied in the literature for other cellular functions not involved with vitamin K. As an example, we can use the receptor tyrosine kinase specific to insulin as an example towards understanding the types of things that vitamin K is able to activate. Because the insulin cascade mechanisms and chemistry are so well understood relative to those that occur when VKDP binds to their RTK, we can use this process as an educational model until the actual mechanisms are better understood. A primary action of insulin, when helping to metabolize glucose, is to bind with a specific cellular RTK as shown in Figure 1. This binding then triggers a chemical mechanism inside the cell (which requires both magnesium and ATP and is much like the mechanisms from the tomb in the movie “Raiders of the Lost Ark”). In the case of the hormone insulin, its selective binding to a special RTK on the cell surface initiates a complex multi-step operation which ends with the opening of special gateways across the cell wall, called “glucose channels”. The action of the glucose channel (another large membrane protein) then enables the selective uptake of glucose into the cell. Figure 2 shows a schematic diagram explaining how insulin acts as a hormone helping to regulate glucose metabolism. Insulin is an enzyme with hormonal activity. When insulin is present in high concentrations outside the cell, it can bind with its specific type of RTK, many of which penetrate the cell wall. This selective binding then triggers the portion of the RTK inside the cell to undergo auto-phosphorylation, which requires the simultaneous presence of both magnesium and ATP. This is the beginning of a complex cascade of events involving many other enzymes inside the cell. The cascade of events results in lipoprotein vesicles transporting the glucose channel proteins to be drawn to the inside surface of the cell wall and fuse with it in a process called exocytosis, thus inserting the glucose channel into the cell wall temporarily. The short film clip below, shows an animation of the process. Eventually the glucose channel protein will slip out of the cell wall and back into the cell. However, for the time it is embedded in the cell wall, it will allow glucose to enter the cell via a selective but passive transport mechanism know as “facilitated diffusion”. Greater amounts of insulin present in the fluid outside the cell, and binding with larger numbers of insulin receptor RTK on the cell wall, will result in a larger number of glucose channels being recruited and embedded into the cell wall for a time. This then allows a greater amount of glucose into the cell while they are there. This is one method by which our blood sugar is regulated. As as side note, both magnesium and ATP are very important for the proper function of the insulin cascade, just as they will be for any form of interactions between a VKDP and their RTK. Many steps in the cascade require ATP and many steps in the generation of ATP require magnesium. Figure 2 – 1) Insulin binds with its RTK on the surface of the cell. 2) Auto-phosphorylation reactions are triggered. 3). GLUT4 containing vesicles are attracted to the cell surface. 4) Vesicles are incorporated into the cell wall to insert the GLUT4. 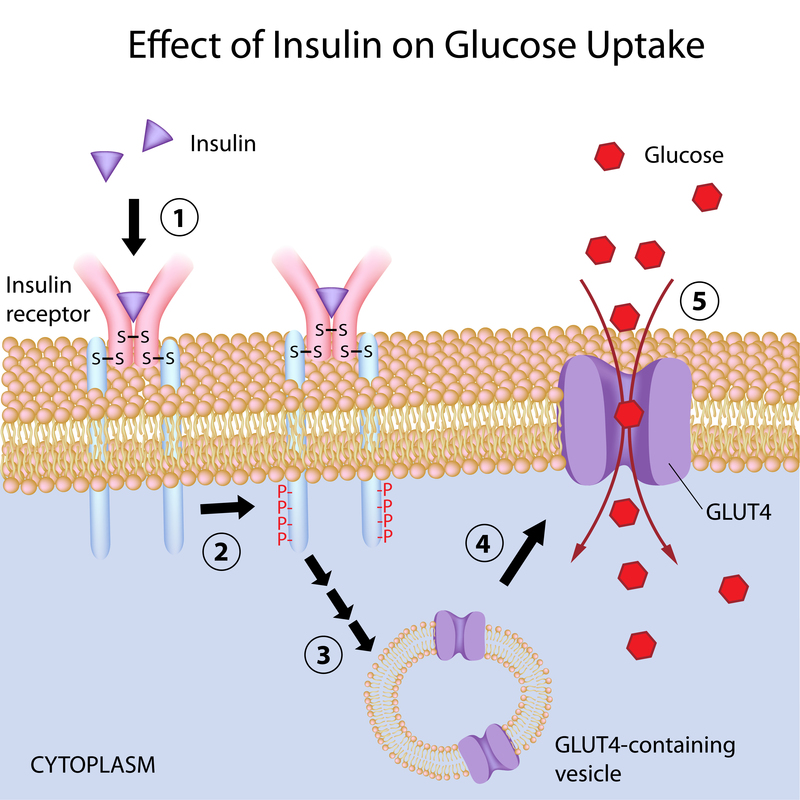 5) GLUT4 passes glucose through the cell wall via facilitated diffusion. The short video clip below shows an animation of the described process. Please note the lock and key specificity of the binding process. If the shape and charge density distribution of the two molecules are not precisely complementary, they will not bind and no events will be triggered. While insulin itself does not appear to be a VKDP, it is apparent that other enzymes which do depend on vitamin K2-MK4 for activation, such as uC Osteocalcin, Gas-6 and Protein S, have similar functions at the cellular level. Using RTK binding mechanisms, such as that shown for insulin, somehow the cells use MK4 as a multiplexing type of switch that activates and controls not yet well understood cellular machinery. The studies of RTK and associated cellular signaling and mechanics for vitamin K are in very early stages. What is clear is that these mechanisms are fascinating, complex, and at the heart of our metabolism. It is an interesting time as these processes are yet poorly understood, and so have not been well studied. What is already known about these processes, however, clearly indicates that vitamin K2-MK4 may well by the most important vitamin ever discovered. On that topic however, since it can be manufactured by the human body, this vital compound many be more hormone than vitamin? All Health is Affected by the VKDP and Proper Communication for Cells and Tissues! The mechanisms by which VKDP are able to signal and subsequently alter the state of a cell apparently begin with selective binding of K2-MK4 to the VKDP in order to either turn it on or off. If turned on, the VKDP is activated for subsequent selective binding to an RTK. The substrate-ligand complex formed by the selective binding between the VKDP and RTK then modulates the resultant enzymatic function, subsequently triggering both known and unknown actions within the cell. When we consider the possible combinations and permutations of VKDP and RTK as bound complexes, the scheme begins to look somewhat like an elaborate multiplexing system. A sophisticated cellular communication system, wherein the combinations of bound complexes between VKDP and RTK can selectively turn on and off various cellular states throughout the body. Whatever the specifics of the mechanisms ultimately turn out to be, the selective binding between these families of enzymes somehow switches these diverse families of proteins and their host cells into different modes of activity which are used to control the cells life cycle and maintenance functions. These same cellular processes seem able to specifically recognize and communicate with cancer cells, forcing some sort of response that results in their regulation and control. This process apparently can cause the cancerous cell to re-differentiate back to a normal cell, or if unsuccessful in that endeavor, then trigger the cells death cycle and initiate a cleaning and replacement process for the dead cell. Some of the cellular functions thus identified as dependent on VKDP, RTK and K2-MK4 include multiple signaling pathways centrally involved in cellular reproduction, repair, cleaning, growth, and programmed cell death. In summary, it appears that the Vitamin K family is a very complex and important piece of our core biochemistry. Its roles are incredibly intricate and intertwined in the heart of cellular signaling, communication, administration, control, production and execution. It is also being shown to be intimately involved with the chemistry of DNA transcription and translation in general over multiple generations of offspring. At the cellular level, vitamin K2-MK4 has demonstrated the ability to signal cells to differentiate one way or another, or to die, or not to die. This activity is shown to be in response to complex chemical communication mechanisms that are not yet understood. In the case of many our body’s specific cell types, vitamin K2-MK4 biochemistry is involved with cellular repair and has been shown to have a role in both extending the cellular life cycle, and/or initiating cell death. This same chemistry seems to occur throughout, at least, all the types of cells we have discussed, such as brain, stomach, organ, skeleton, cardiovascular and skin cells. It is an exciting time in biochemistry and nutrition. It is an astounding thought that the increasing prevalence of cancer and other supposed environmental, genetic, and age related disorders are all linked to the decay of the concentrations of vitamin K2-MK4, magnesium and other fat-soluble vitamins from the food supply over the last 100 years. Magnesium is especially critical in this discussion because no vitamin K chemistry can occur without magnesium. Supplementation of the diet with vitamin K2-MK4 alone will not improve health very much if one is magnesium deficient, or nutrient constrained in general. It is important to realize that the simultaneous closing of all nutrient gaps for a sufficient time period is necessary to effectively heal the body. Appropriate nutrient supplementation supports the body and allows its DNA to express, activate and regulate the full spectrum of enzymes, hormones and neurotransmitters the body needs. If the body is properly supplied with nutrients, all its metabolites can be produced and regulated at rates high enough to easily meet demand while simultaneously coping with nearly all the routine stresses of living. In order to better maintain adequate physiological stockpiles, reserves and concentrations of these vital resources it is imperative to understand how these vital nutrients are found in the natural diet, as well as what factors interfere with their use, or increase their demand. Ideally one needs to know how to properly supplement their diet so as to help get an adequate intake of sufficiently nutrient dense food for the long haul. This is especially important as we develop, grow, age and decline. When properly supported, the body can signal, communicate, repair and maintain itself extremely effectively at the genetic and cellular level for long periods of time. The long term benefits of a properly regulated and resourced physiology are tremendous. While vitamin K2-MK4 is a vital part of the required support system, it is only one member of a complex chemical cast whose biological roles are only now being revealed structurally and mechanically after being hypothesized and discovered qualitatively by Weston A. Price over 70 years ago. At Genesis BioHealth we have formulated a product line that makes it easy to supply your body with all the most critical fat soluble activators. Used in concert with a traditional nutrient dense diet, our products can help your body to unlock its fat soluble metabolism and all the associated benefits!